What a fun way to complete bath time! Custom made character hooded bath towels are a sure way to put a smile on your little one's face. 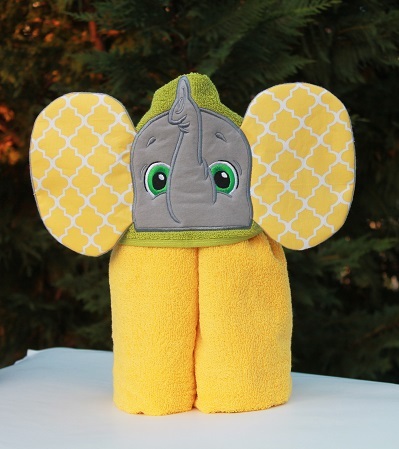 With big yellow ears, this little Elephant is sure to stand out! For an extra special touch, towel can be personalized with your little one's name. Name will be embroidered across the back center of the towel body. Made from soft plush 100% cotton. Body of towel measures 30" x 54" for full coverage.